Randy’s Heating will ensure you and your property are ready to take winter head on; with the safe and comforting warmth of a gas fireplace. As a company, Randy’s Heating lives by their core values: honesty, integrity, fair pricing accompanied by the high-quality workmanship, and exceptional customer service; above all else. When shopping for a new gas fireplace insert you always want to consider what will work best for you, and Randy’s Heating will stand by your side every step of the way. Parallel to their values, Randy’s Heating uses only one of the most reputable and trusted brands of fireplace inserts in the business: Archgard Inserts. Archgard is sincerely dedicated to providing customers with the best of the best, top-of-the-line, gas fireplaces. Even better, they are a “Certified Gas Pro Expert” with Archgard; so you can rest assured you are getting safe, and certified service. B-Vent Gas Inserts have become a staple among gas fireplace owners because of their high-efficiency ratings and safe venting methods. A B-Vent Gas Insert can be installed in most pre-existing fireplaces using a tube to vent combustion fumes outside. The benefit of this system is that replacement of the primary source of ventilation is safe, easy and inexpensive; allowing for a quick repair if needed. Just because a fireplace is meant to be safe and efficient, doesn’t mean that it can’t also be stylish. Archgard works to ensure only the highest quality product in functionality, but also in form. With their designs and color options, your gas fireplace can be a compliment to any room. Here is just one example of the fashion forward products that Randy’s Heating can provide for you. 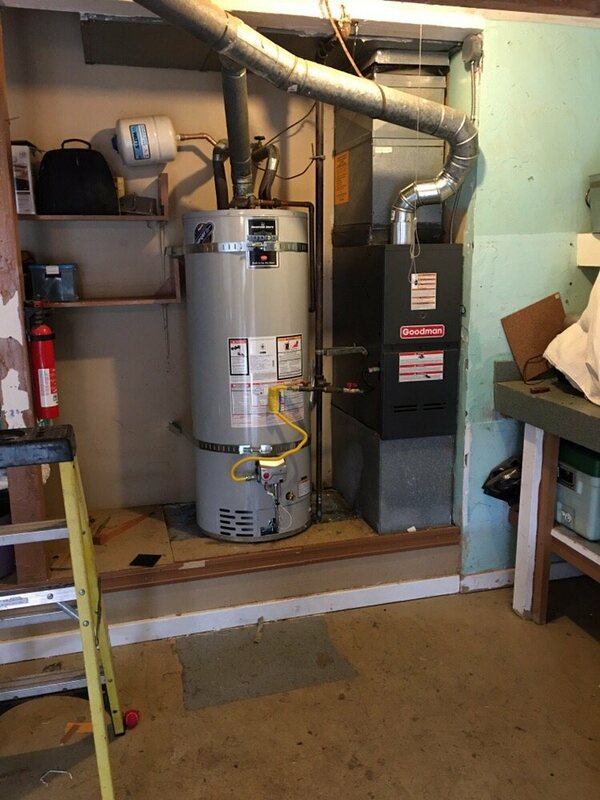 Randy’s Heating provides installation and maintenance service to: Bremerton, Gig Harbor, Port Orchard, Belfair, Hood Canal, Bainbridge Island, Sequim, Bell Hill, and Port Townsend, WA. If your gas fireplace stops working at any time, Randy’s heating will not leave you out in the cold. Their fire to be the best for their customer base is unrivaled, and it shows, as they have a team of qualified engineers providing 24-hour, on-call support, and are eager to solve your dilemma. Whether it be repair or maintenance, Randy’s Heating is ready to turn your winter stressing into a winter blessing. We offer 24-hour service for your gas fireplace and do not charge additional fees for ‘After Hours’ work. Contact us if you’d like a quote to transform a cold place into a comfortable space!